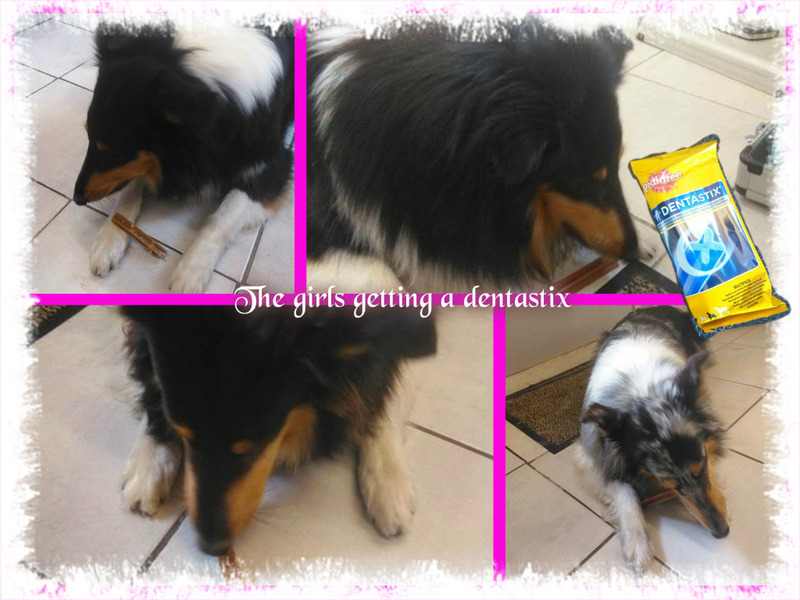 I think every one has heard of Dentastix by Pedigree, and for Pet smile month I'm writing a little review on them! I don't give my dogs Dentastix very often, I think this is a great product when you have small dogs, but with those big collie and borzoi mouths it does not really do the trick. When they get one it is mostly within 1 minute completely gone and I really don't think there are any benefits in easing a Dentastix within a minute. I don't believe the teeth are really cleaned then. But they just love them. The taste is super. The dogs even will do little tricks when they get one, so for the taste I think it will be a 9 out of 10. Maybe for smaller breeds it will work, but I will keep continuing teethbrushing instead of switching completely over to Dentastix. But I will sure buy them every now and then, just for a treat.